40 horsepower, split system, water chiller with reservoir and pumps. This system uses an air-cooled condenser (not shown) which is mounted on the roof of the building. 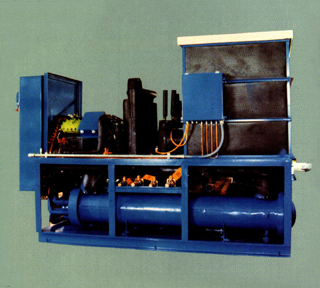 This chiller was used to keep process water at 40 degrees F, plus or minus 1 degree.